Conflict at work is a costly business It can happen in any workplace. Differences between individuals can lead to disputes in the workplace which impact employee job satisfaction, can increase absenteeism, reduce productivity and ultimately affect profitability in a business. Disputes can range from regular daily conflict between workers, between supervisors and workers, or between customers, clients or suppliers. Not all conflict is bad, but when it becomes disruptive it can affect the well-being of every person in the workplace. Mediation helps people who don’t see eye to eye to sort out their differences as quickly as possible and to minimize distress and cost. . We will assist employers with an obvious conflict or we can come in and identify where the conflict is arising within the workplace. 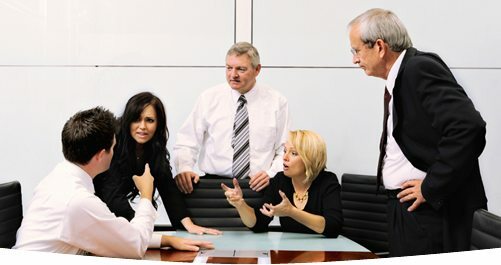 We can assist in bringing disputes to a conclusion without the undue expense of litigation. We can provide training to supervisory staff, in understanding, identifying and learning techniques in resolving conflict in the workplace. We can also provide conflict resolution training to non-supervisory employees who regularly deal with clients and customers or member of the general public. Complete the workplace inquiry to begin the process of working with our team of trained professionals.